American Apparel is closing all their Canadian stores! Final days are remaining at many locations! 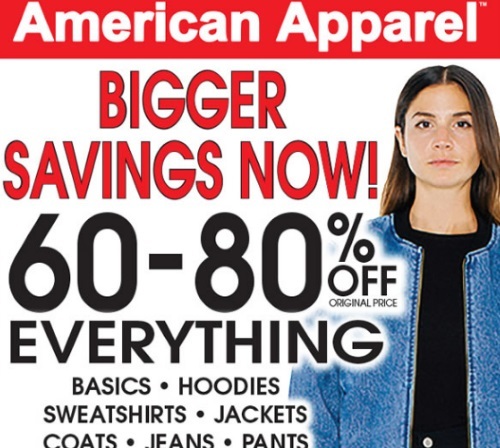 They've slashed their prices 60-80% off the original prices on everything including basics, hoodies, sweatshirts, jackets, coats, jeans, pants, skirts, dresses, shoes and more! Plus get an extra 50% off all clearance items.